For me, this is great Bond. The franchise has not had a good classic Bond romp since the 80’s (because screw the Brosnan movies), so to finally get one is really a nice bit of variety at this stage; and by the same token, the film’s commitment to the arthouse aesthetic (Hoyte van Hoytema delivers some gorgeous and dynamic images) of the Craig Era movies makes it feel faithful to both those movies and the early 60’s entries. However, I am a rather esoteric type of Bond fan, so perhaps this is a Bond movie designed solely for a specific audience. That would account for the rather frosty reception. And no, I did not like Sam Smith's song either. I'm all about Daniel Craig and would love to be a Bond girl - either the badass version or just the eye candy haha I don’t care, sign me up! But wtf this movie bored me to tears! I wanted to like it, especially after the really amazing opening scene, but so much of this movie just draaaaaggs. A lot of the story is Bond trying to figure out who's behind some secret organization. It's kind of fun following along with him, but it doesn't lead to anything exciting. The payoff is SO WEAK. Plus, they try to force this whole weird backstory between Bond and the bad guy that just feels like it's from another movie/franchise. I love a good Bond movie and never get fed up of them, I can't wait for the release as Chris said next year is going to be a hell of a year for movies! It is going to be a huge year for movies - we'll see how many blockbusters one year can support. 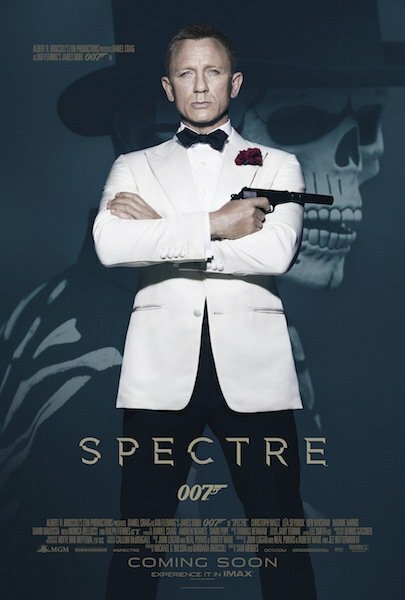 Bond may not Marvel or Star Wars level of fan legions, but I have a feeling it's going to do just fine on its own. My god, 2015 is gonna have the best lineup of movies in years! And I thought 2012 was something special. Clearly we have not seen anything yet. Bond 24 has an official name - and cast! Other than disappointing Quantum of Solace, I have been a fan of these newer Bond offerings - and with names like Christoph Waltz (playing &quot;Oberhauser&quot; though many think he is actually taking on the mantle of classic Bond villain Blofeld), Monica Bellucci, Lea Seydoux joining the fray - things look like they are continuing in the right direction.